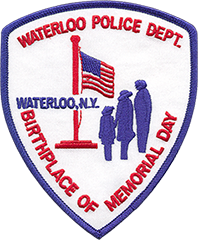 On 9/15/18 at 2:11 AM the Waterloo Police Department arrested Patrick R. Byer, 52, of Waterloo, New York for Aggravated Unlicensed Operation in the 3rd degree following a traffic stop on E. River St. Byer was released on his tickets and is to appear in the Village of Waterloo Court on 10/03/18 to answer to his alleged charges. The Waterloo Police Department reports on August 6th, 2018 at 6:30 PM Stephen G Clary, 63, Waterloo was arrested for Unlawfully growing Cannabis. The arrest stems from an investigation where it is alleged Clary was growing twenty three Cannabis plants on his property without being duly licensed to grow said Cannabis. Clary was issued an appearance ticket and is scheduled to appear in the Village of Waterloo Court at a later date. On 07/16/2018 the Waterloo Police Department charged Amanda L. Lewin of 58 Inslee Street with Harassment in the 2nd Degree and Criminal Mischief in the 4th Degree after responding to a domestic incident that occurred in the Village of Waterloo. It is alleged that Ms. Lewin grabbed a woman by the throat and damaged a television after striking it with her fist. Ms. Lewin was released on appearance tickets and is to reappear in the Village of Waterloo Court on 08/01/2018 to answer to the charges. On 07/09/2018 the Waterloo Police Department arrested Peter B. Vanderwall III for Criminal Mischief and Endangering the Welfare of a Child on an arrest warrant after responding to a domestic incident in the Village of Waterloo where Mr. Vanderwall allegedly broke property in the presence of a child on 07/03/2018. Mr. Vanderwall was arraigned in the Village of Waterloo Court and was released. He is to reappear on 07/18/2018 in the Village of Waterloo Court to answer to the charges. answer the charges on 7/18/18 in Waterloo Village Court.